Hunters and anglers pride themselves on being good stewards of the environment. The claims they make in this area are, for the most part, true and verifiable. But as with any group, there are always a careless few who give the rest a bad name. In this category we place the irresponsible anglers who didn’t remove their ice huts from Long Point Bay by the March 15 deadline. A number of these structures have wound up in the drink where they will serve as navigation hazards until they wash ashore or finally sink to the bottom. Huts that aren’t struck by boaters will likely end up tearing the nets of commercial fishermen. This is more than inconsiderate. It is also dangerous and reckless. A boater, jet skier or water skier could be seriously injured or killed running into one of these structures. The problem appears to be premeditated. The Ministry of Natural Resources requires hut owners to register their structures and post their serial numbers prominently on the exterior. 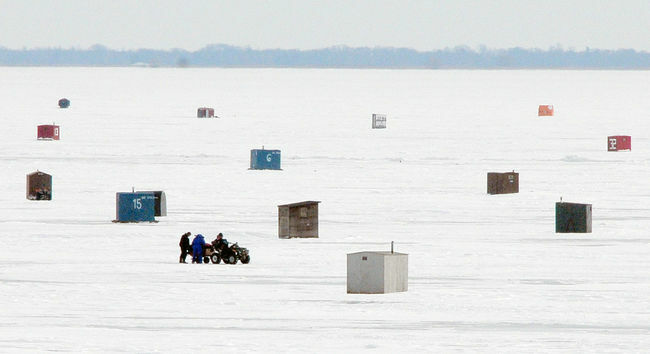 Funny, but the huts that wind up in the lake always seem to lack this identifier. Numbers painted on a plank are easily removed. In the future, these numbers should be an indelible part of the ice hut structure.